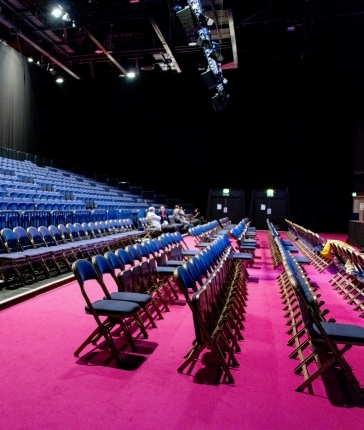 The Main Arena can offer flexible layouts for 500-5000 delegates, exhibitions, and banqueting for 350-1000 guests. Hosting large scale events including WOMEX (World Music Expo), Cardiff World Half Marathon & Sports Expo, and an impressive client list including BT, Admiral, Heiniken and Volvo Ocen Race it’s the ideal venue for event organisers. 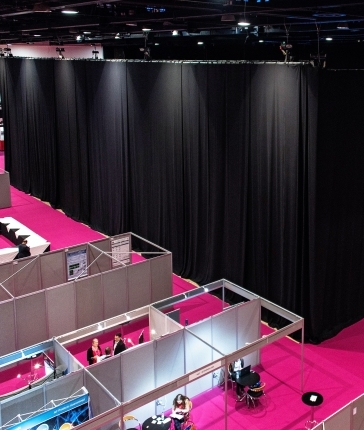 We also offer an Acoustic Drape, creating a room within a room, allowing organisers to create a main plenary set up, exhibition & catering, all in one space. 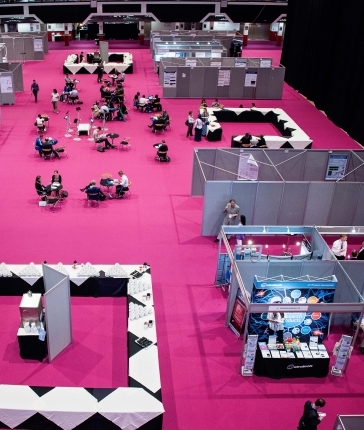 "Our experience of hosting Wales’ biggest business Expo here has been second to none. The venue is in a brilliant, city centre location, the facilities are great and the staff are extremely helpful – nothing is too much.